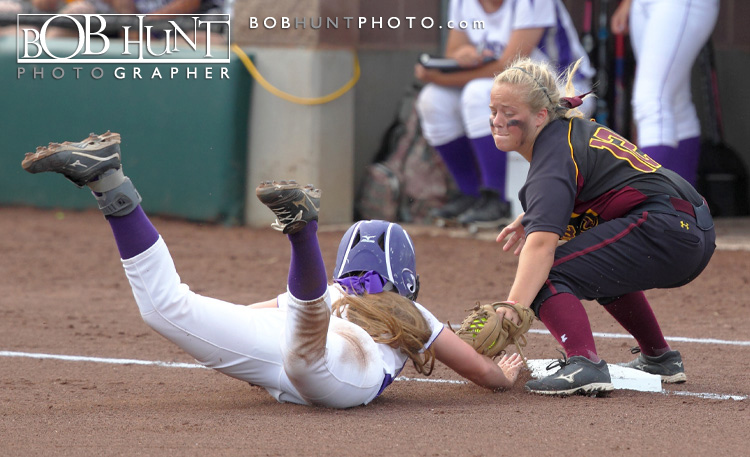 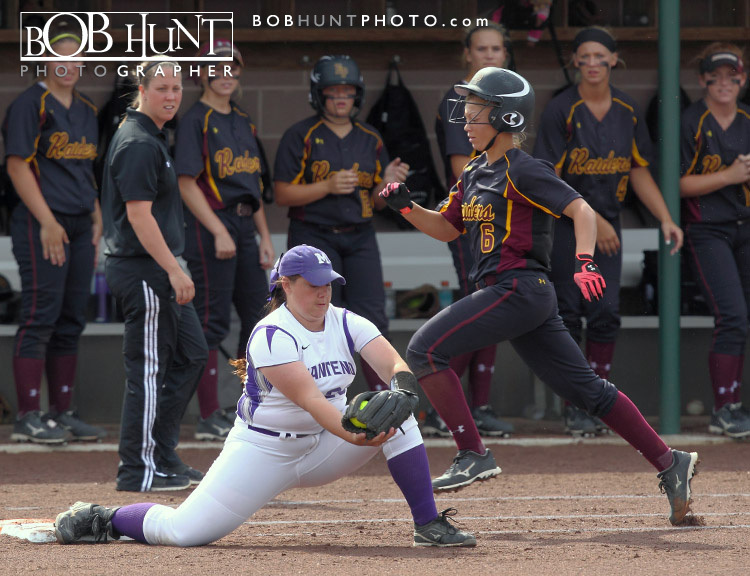 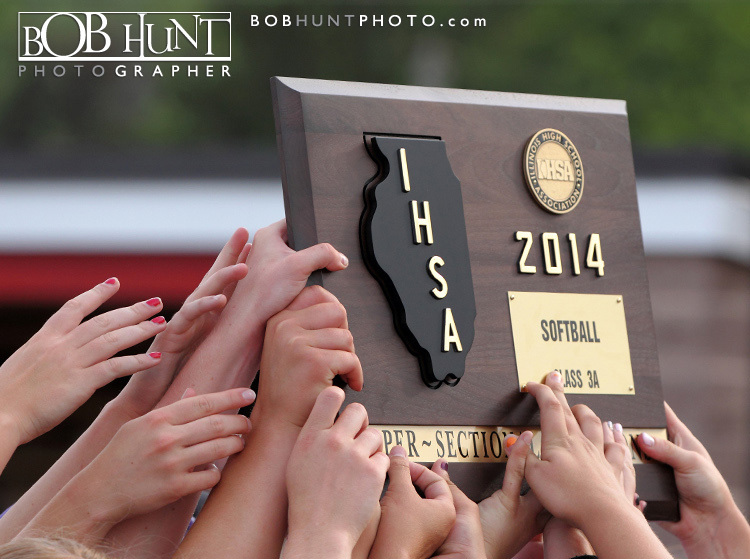 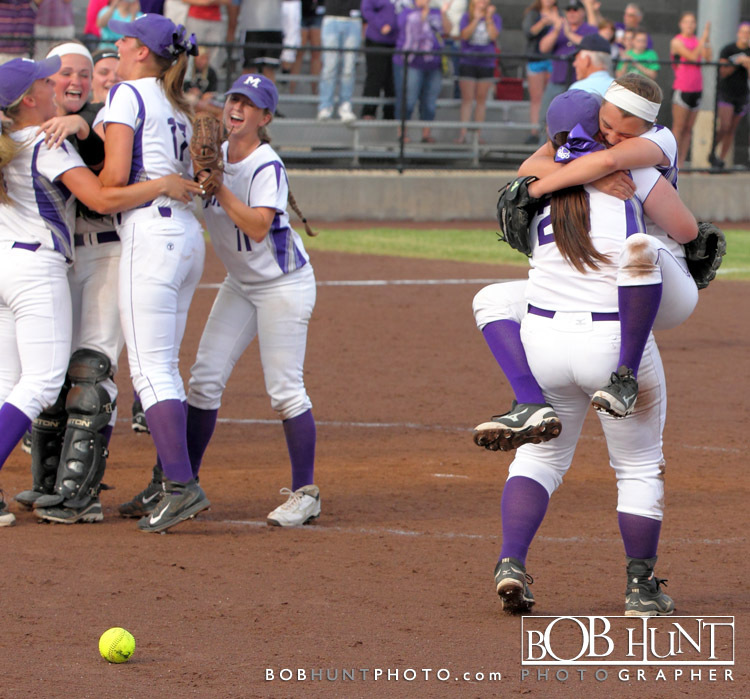 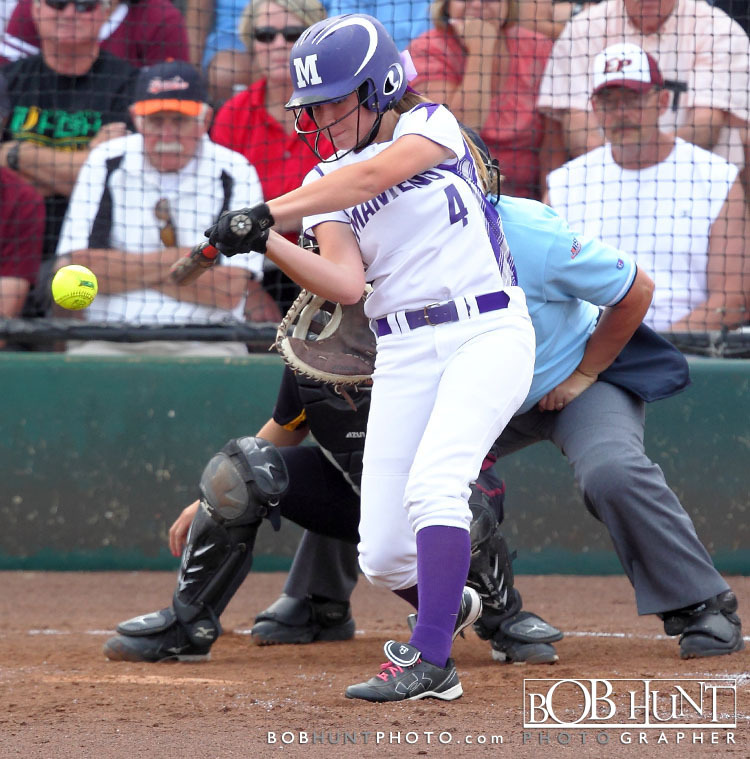 Top ranked Manteno High School beat the East Peoria Red Raiders 4-2 in the IHSA Class 3A Supersectional at Illinois State University Monday evening. 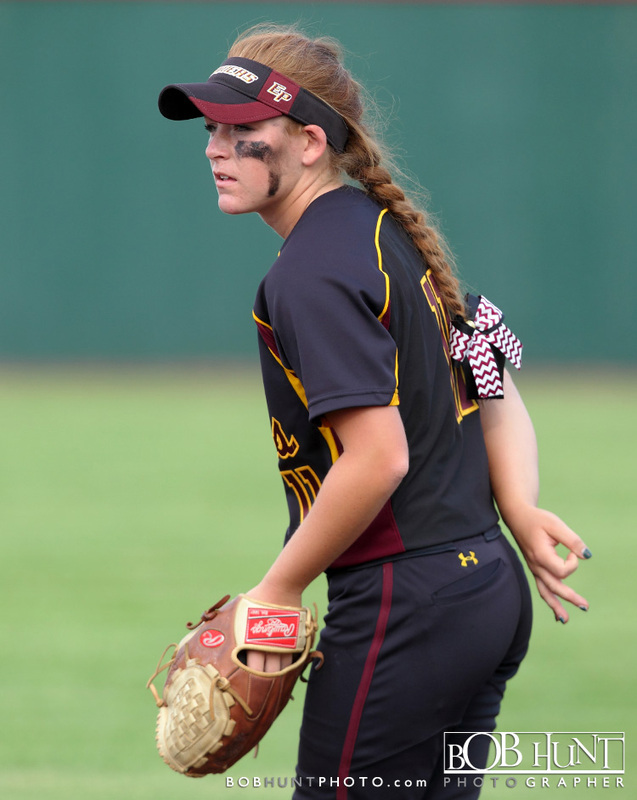 The Red Raiders (32-5) led 2-1 heading into the bottom of the fifth, that’s when the Panthers (38-1) struck for three runs off three hits and two East Peoria errors. 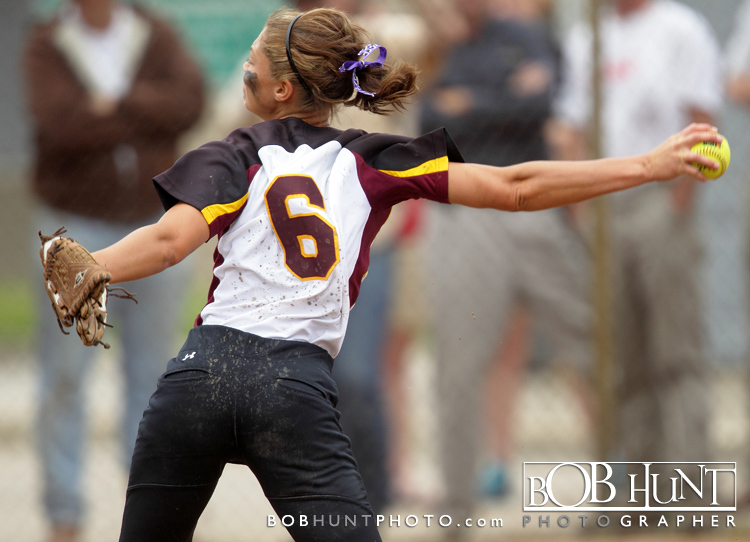 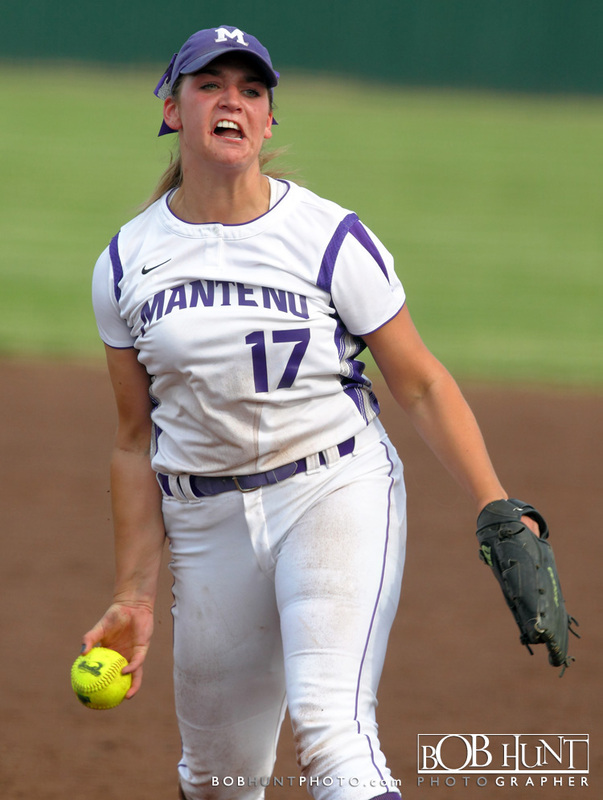 Manteno senior pitcher Brooke Stulga and Western Illinois University recruit retired the final 14 EP batters. 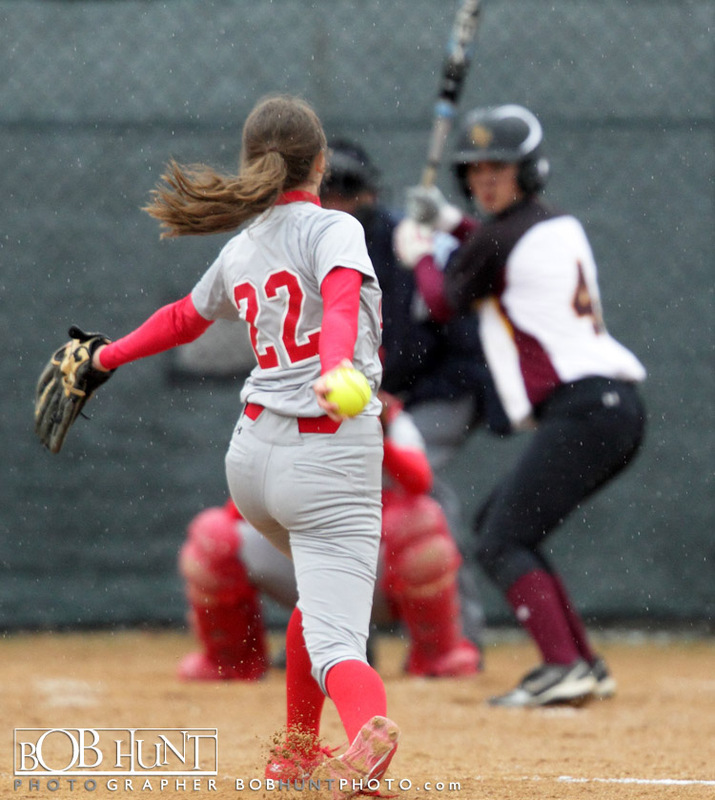 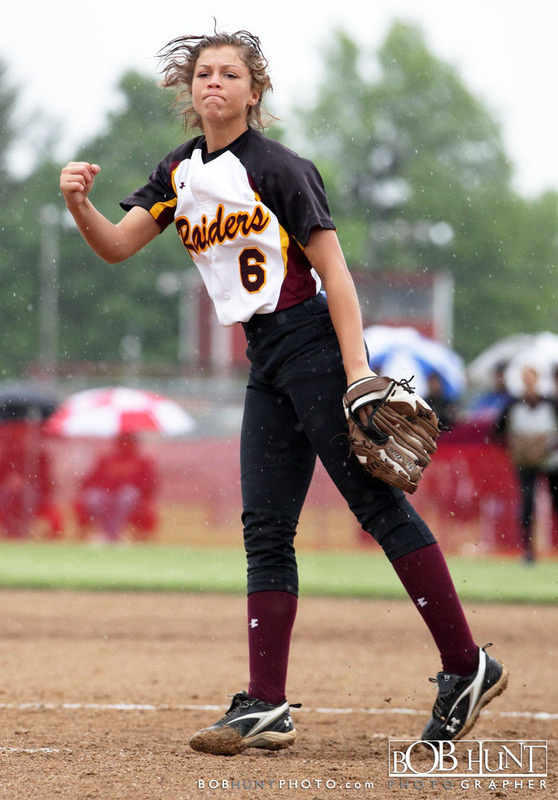 She tossed a three hitter, walked none and struck out three. 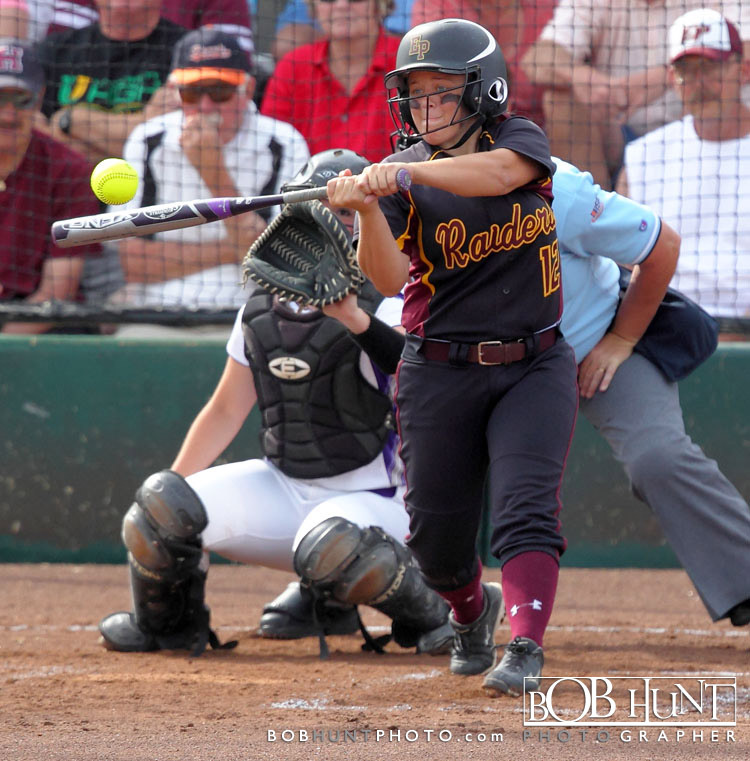 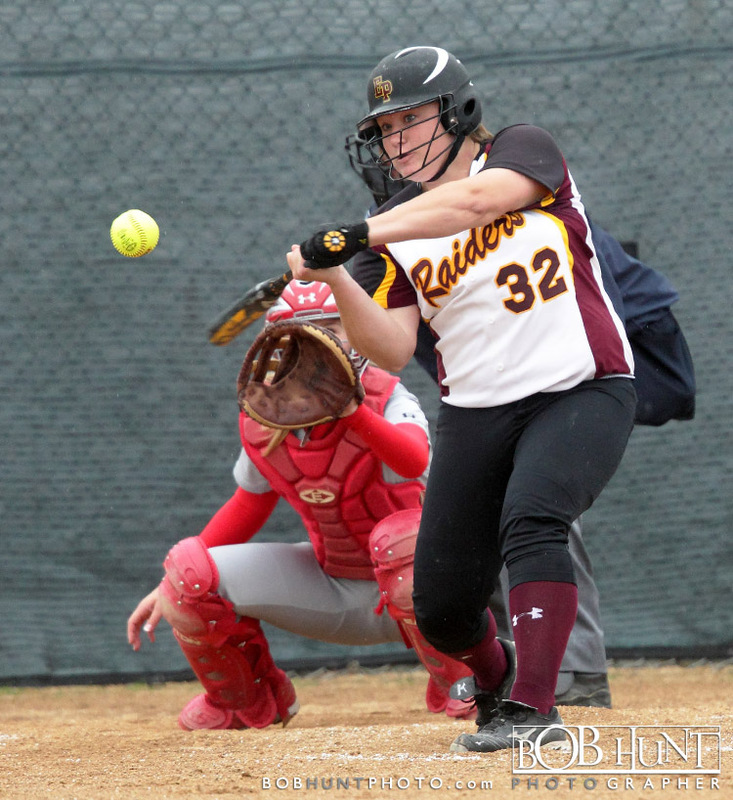 Junior third baseman Taylor Kellum provided all of the Raiders offense with a two-run homer in the top of the first inning. 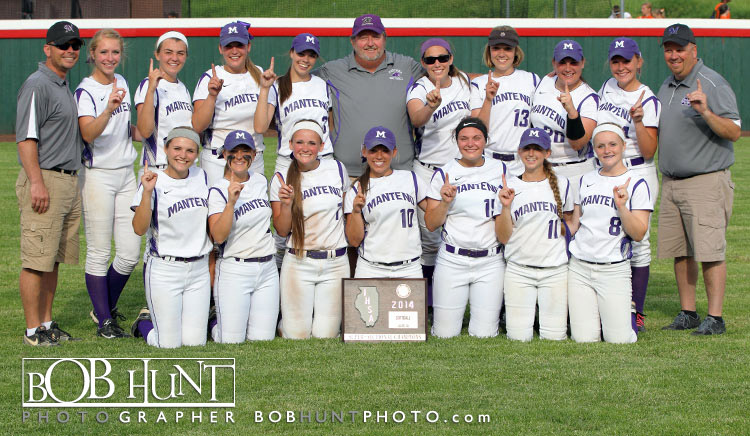 Manteno faces Sterling High School at Eastside Centre in the State semifinals at 12:30 p.m. Friday afternoon. 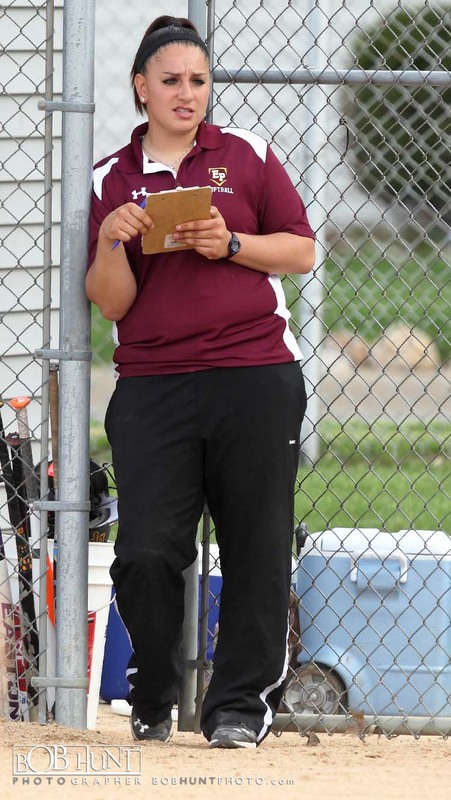 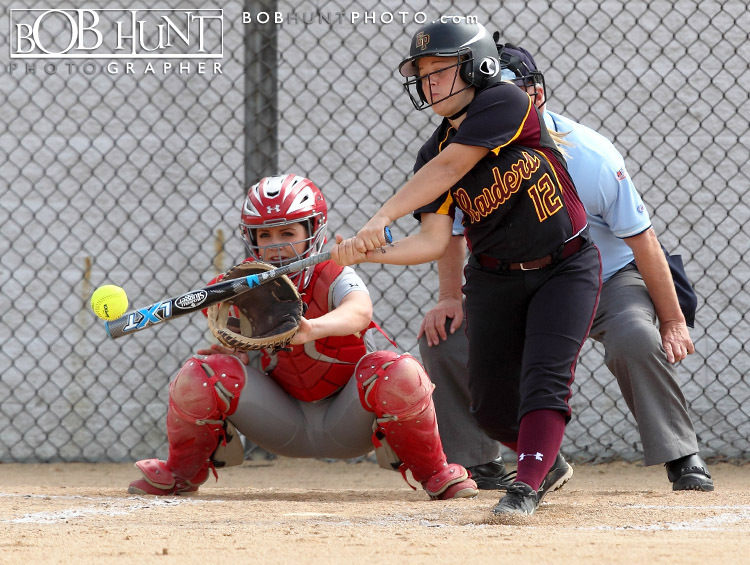 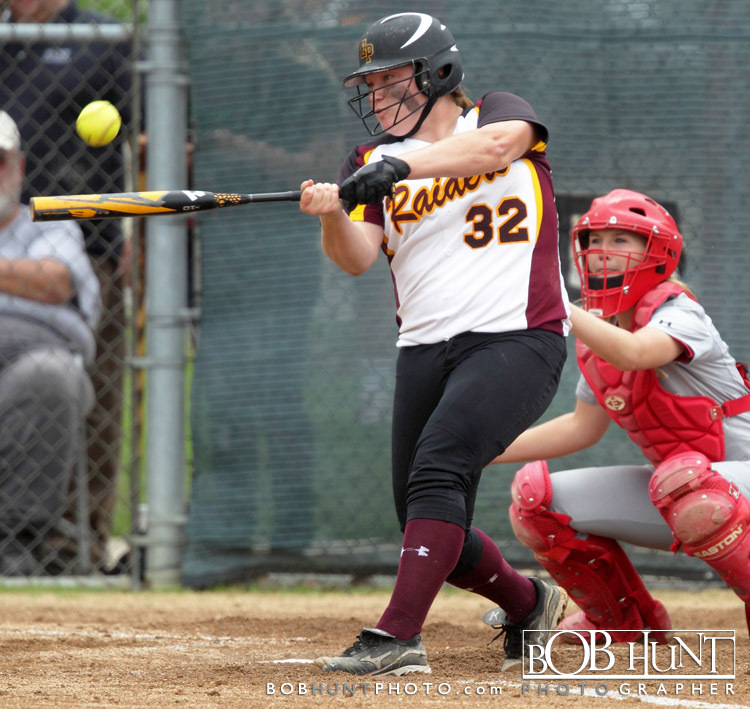 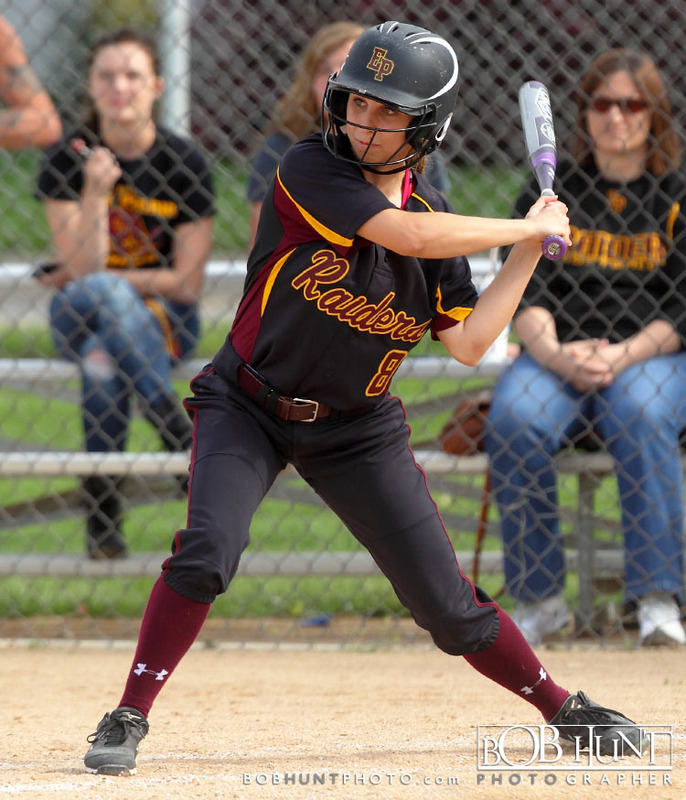 East Peoria Junior Ashley Emert homered and senior Sarah Finck pitcher led the Red Raiders to a 6-1 victory at Morton High School Thursday. 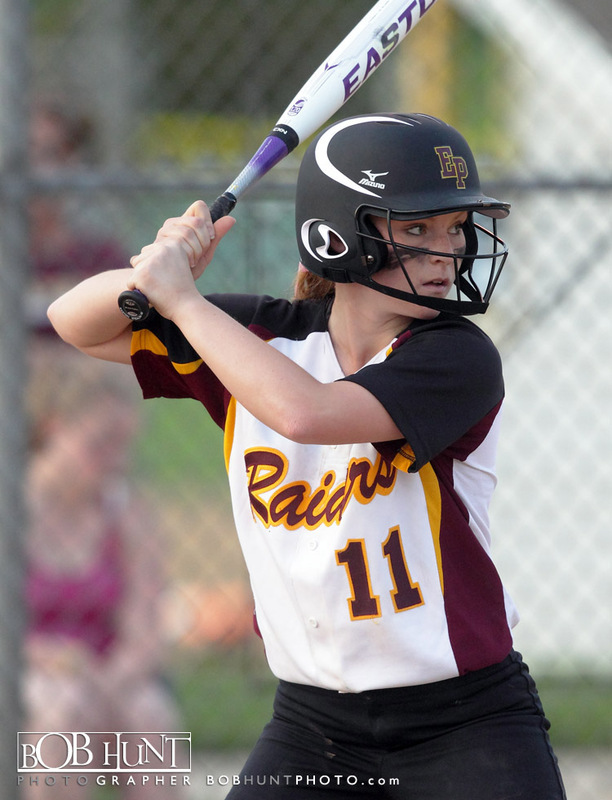 East Peoria wrapped up an unbeaten Mid-Illini Conference season. 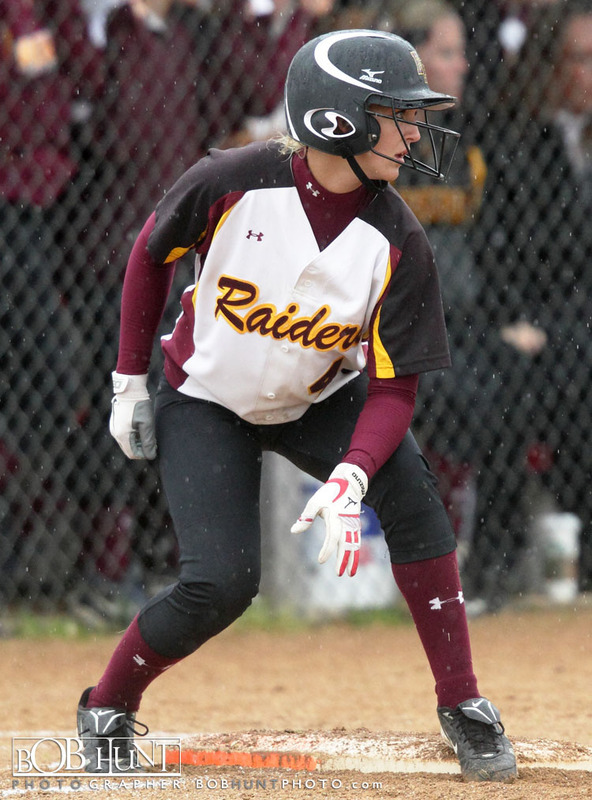 Ciera Montgomery doubled to start a two-run second inning for the Raiders (26-4, 14-0). 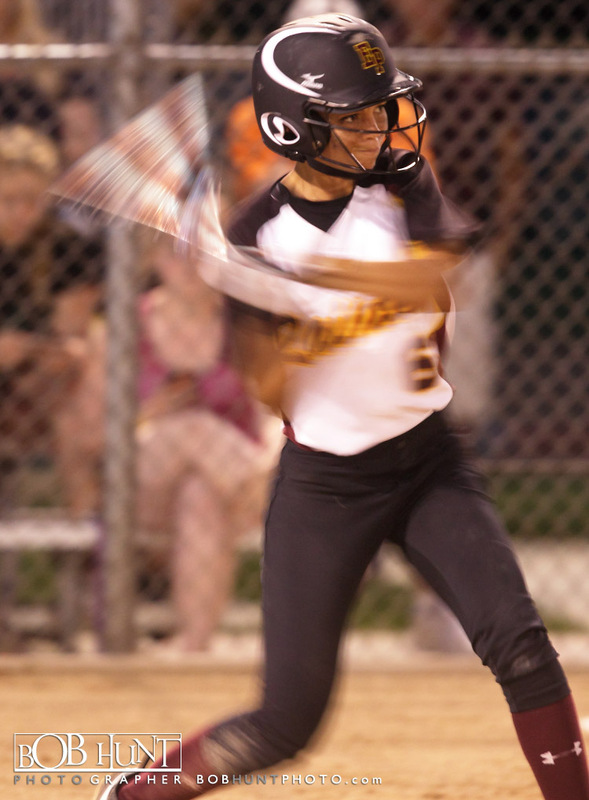 Emert belted a solo home run in the fifth and Kali George capped the scoring with a run-scoring single in the top of the seventh. 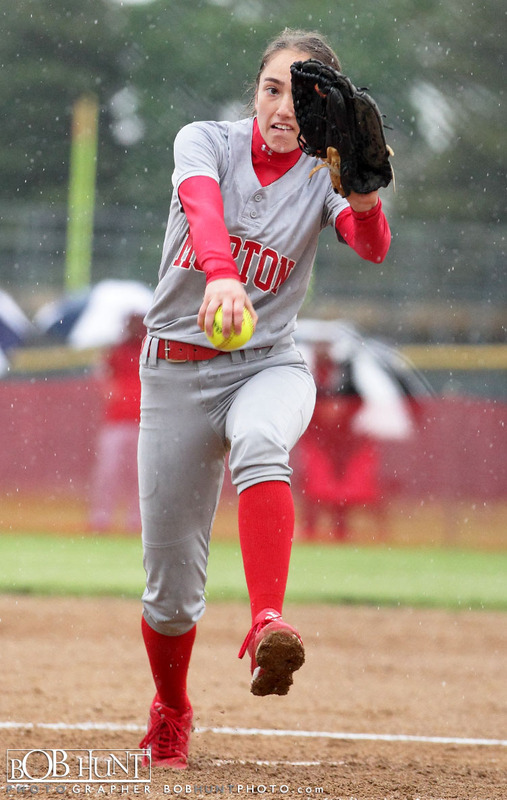 Finck allowed three hits and struck out nine Potters for the win. 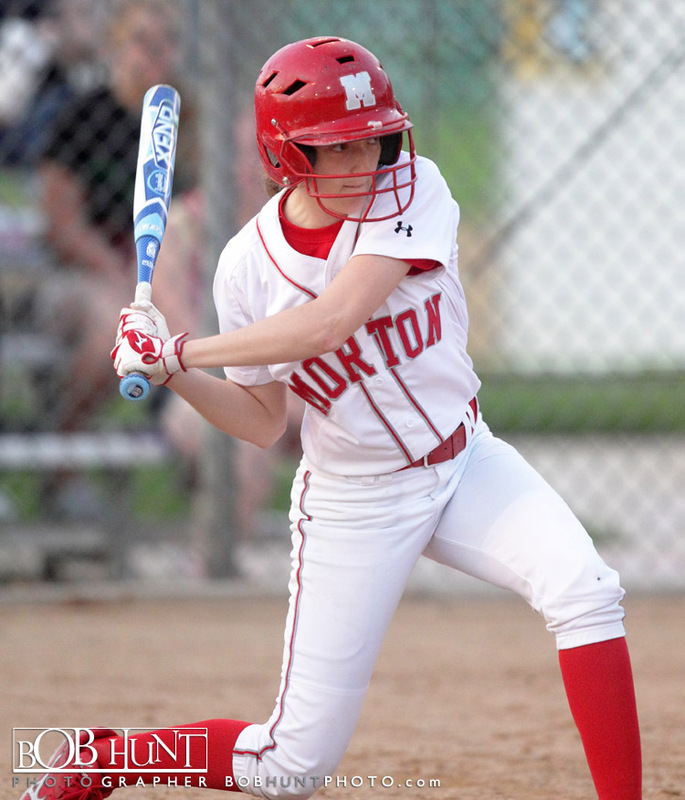 Jessica Cave drove in the only run for Morton. 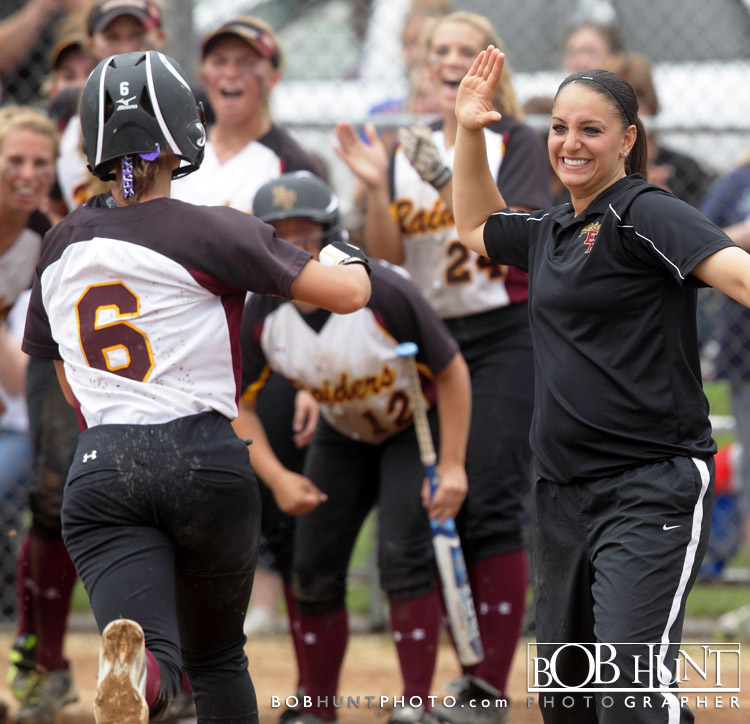 It only took 74 hours for the East Peoria (23-3) to win the Morton Regional Class 3A championship against the host Potters (24-9). 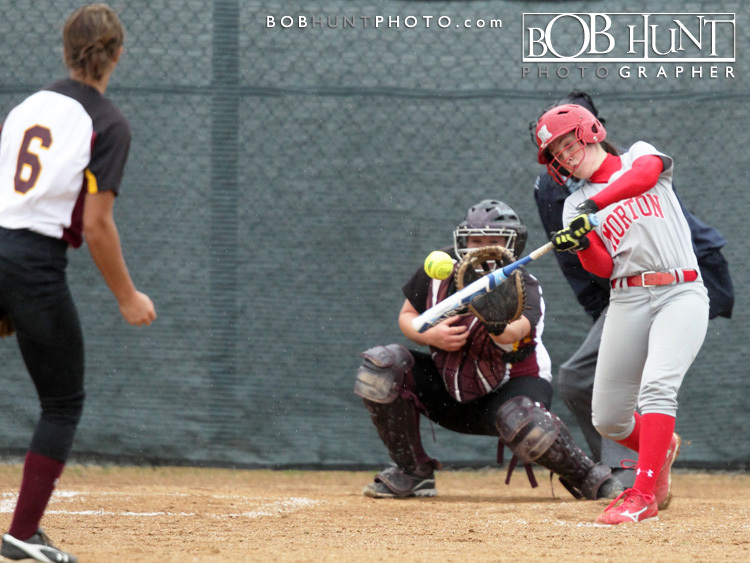 The Red Raiders hit three home runs to post a 6-4 victory. 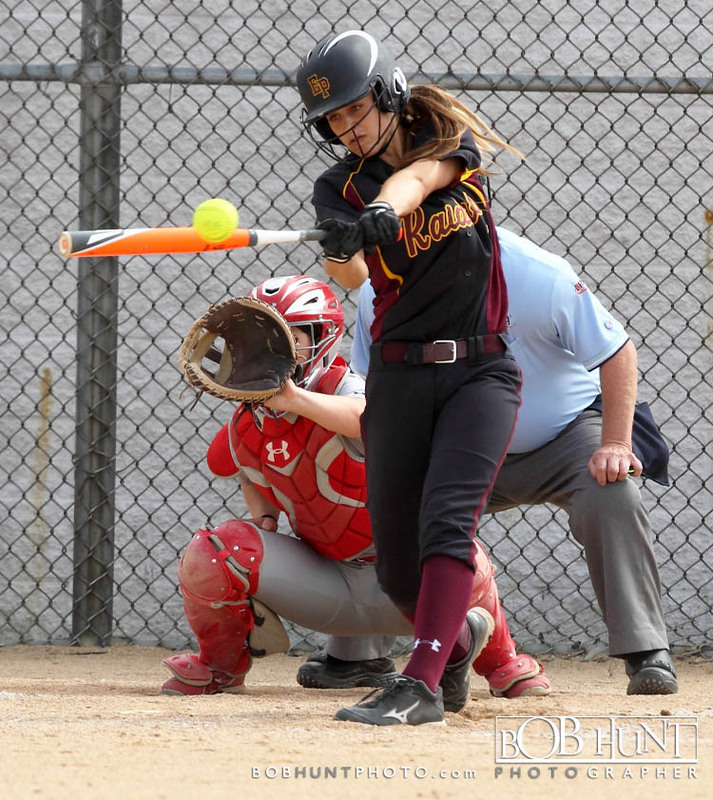 Junior outfielder Lauren Kent (2-for-3) belted a solo home run over the left field fence in the bottom of the fourth with two-outs and EP trailing 2-0. 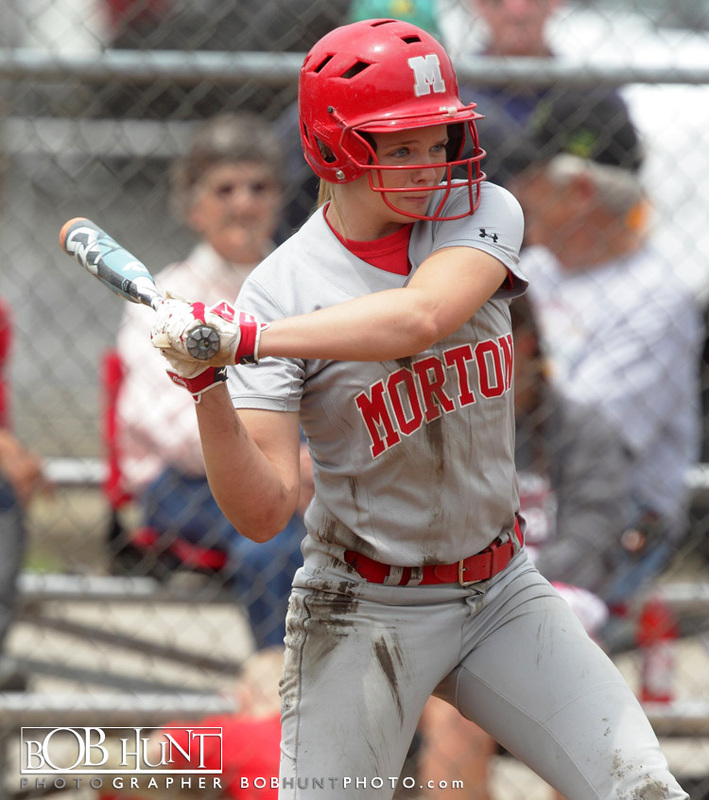 A Morton error scored Brooke Jacobs, who hit a double that knocked off Morton pitcher Nicole Koch’s forehead, and tied the game at 2-2. 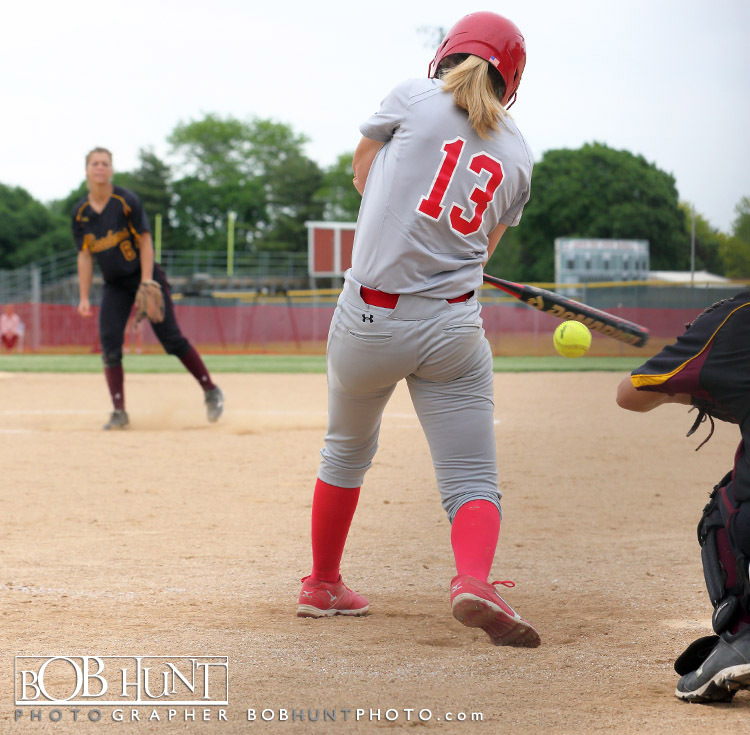 Sarah Finck then blooped a single over into right field for a 3-2 last lead. 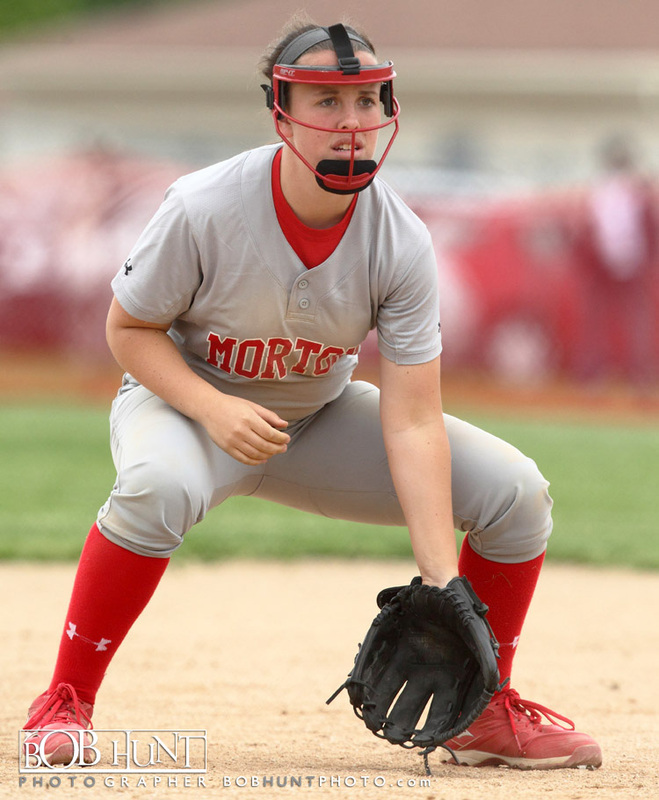 Nicole Montgomery (2-for-3, home run, double, two RBIs) added a pair of insurance with a two-run homer to the bleachers in left field. 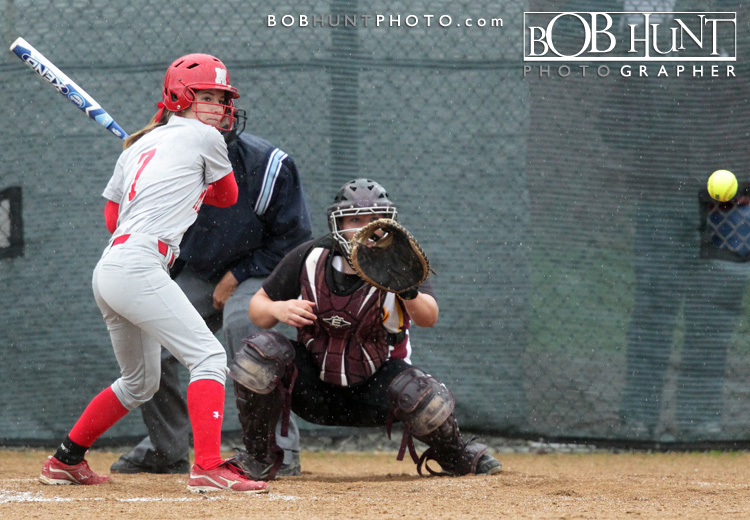 Her blast scored Taylor Kellum (2-for-3), who led off the fifth with a walk. 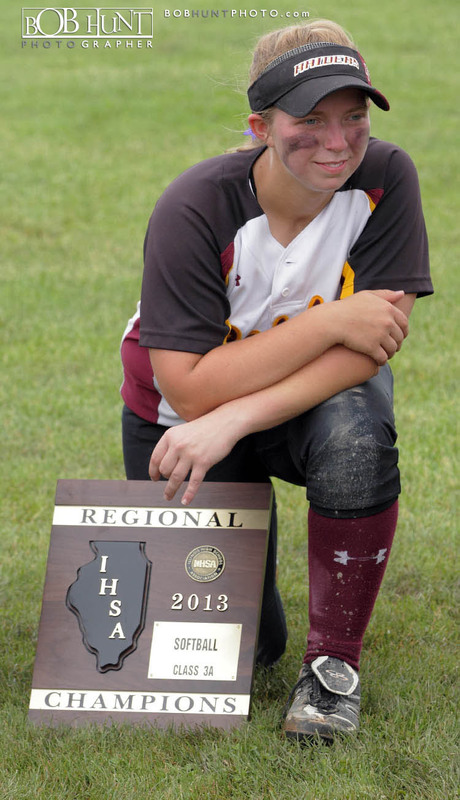 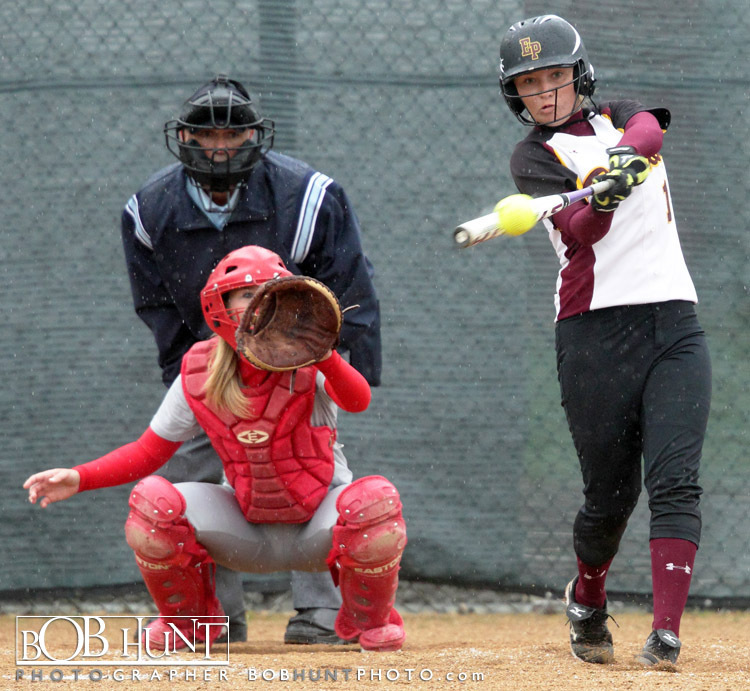 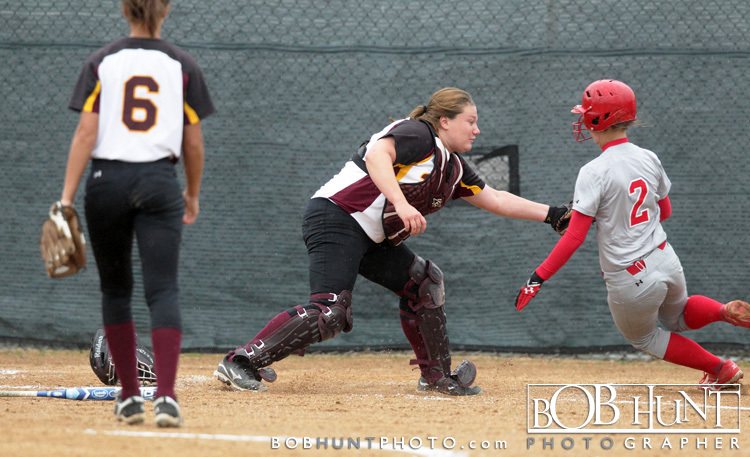 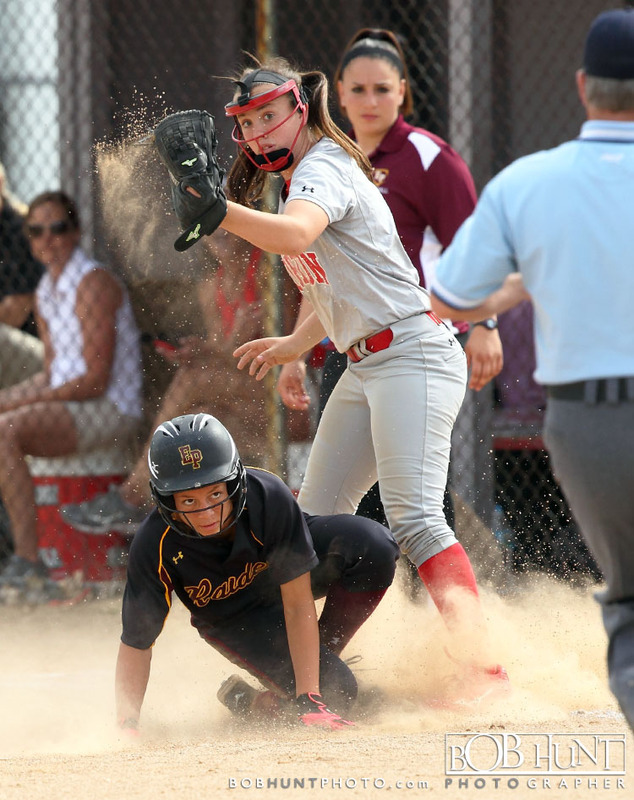 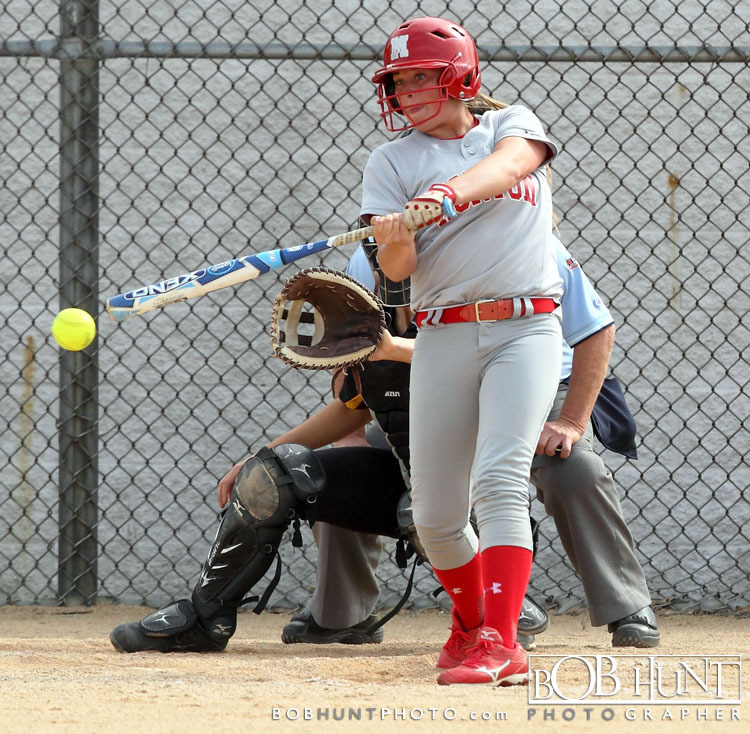 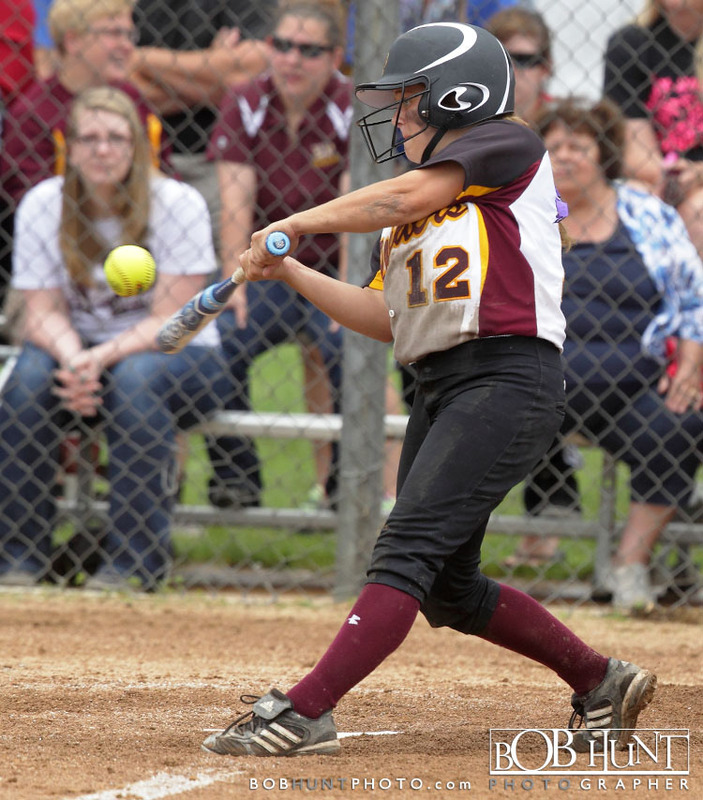 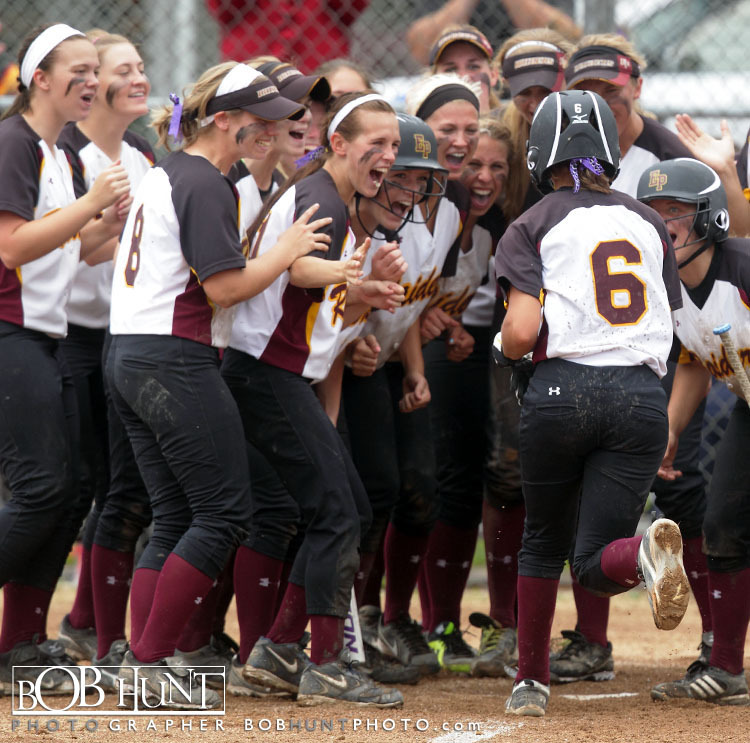 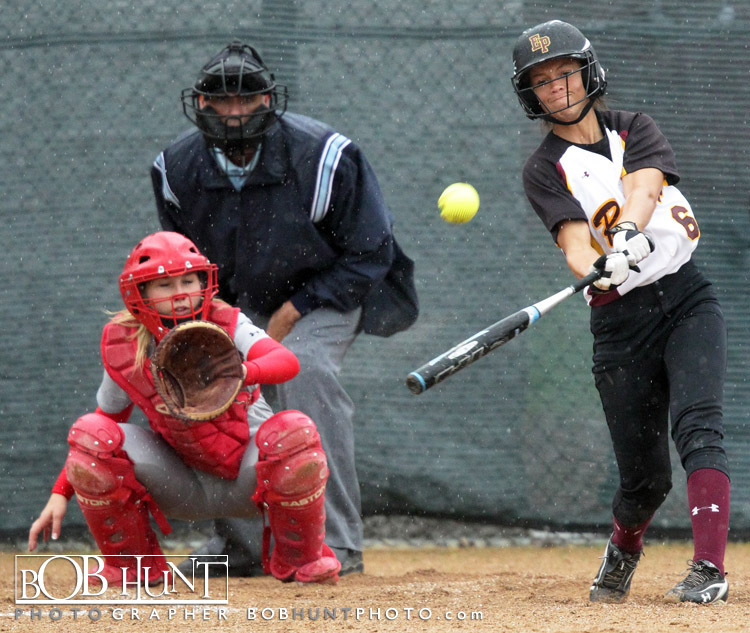 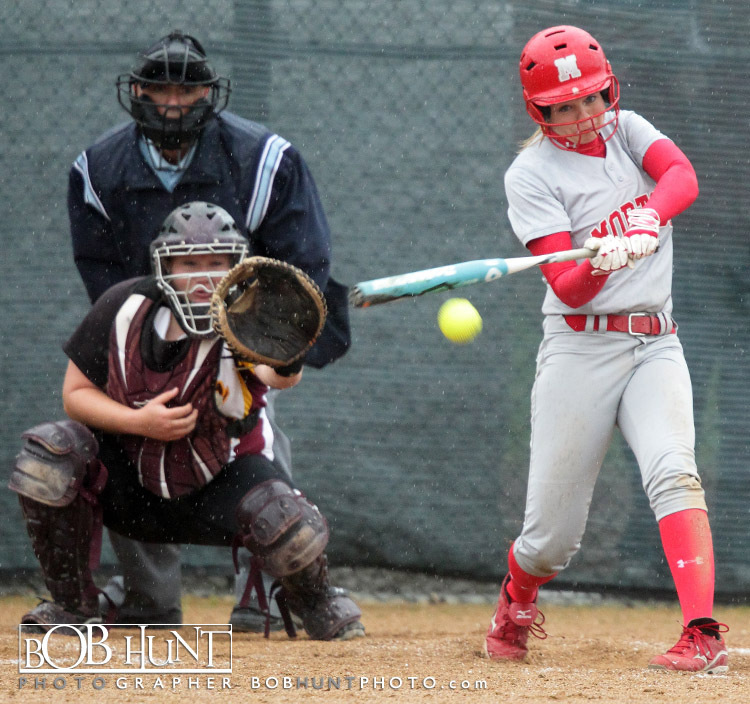 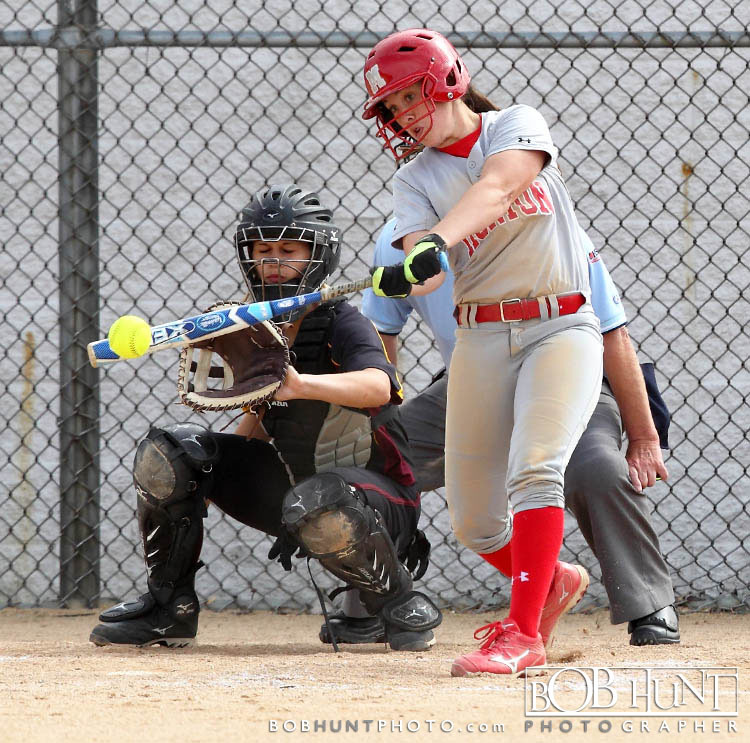 Sarah Finck (2-for-4, home run, two RBIs) then set the final score when she led off the sixth a homer to left. 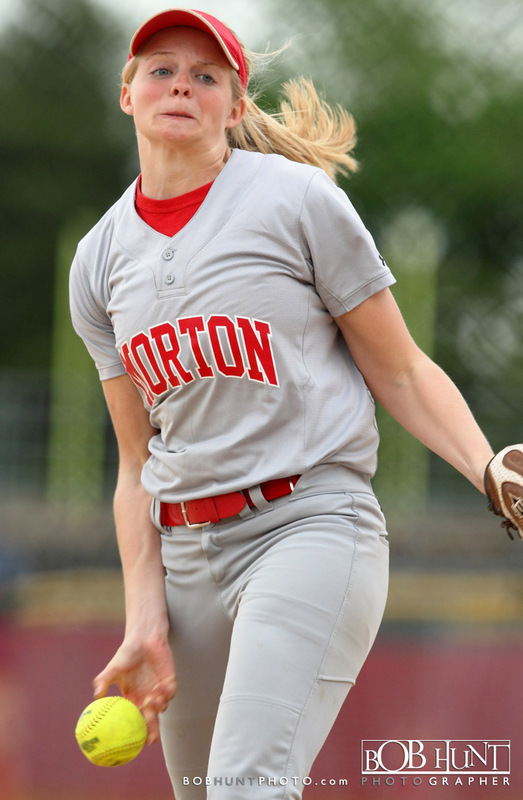 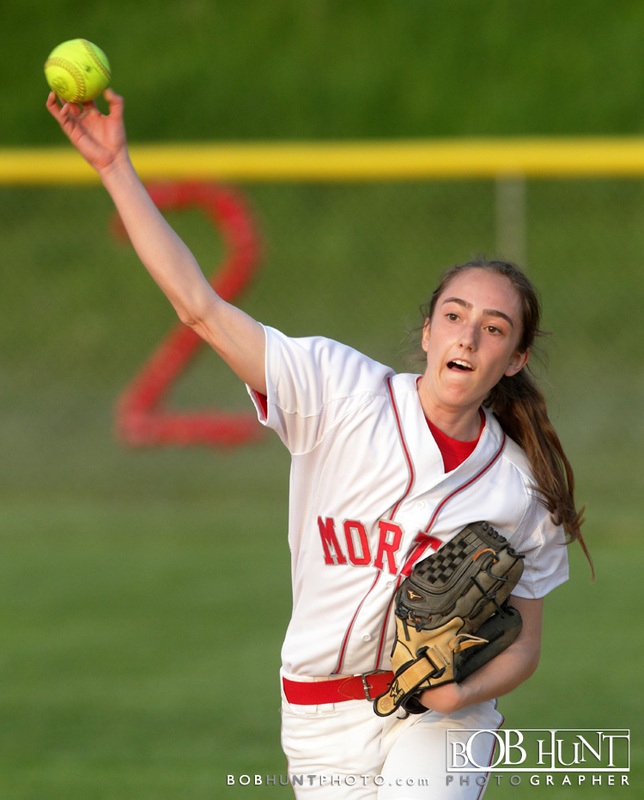 She picked up the win with 11 strikeouts and allowing three walks. 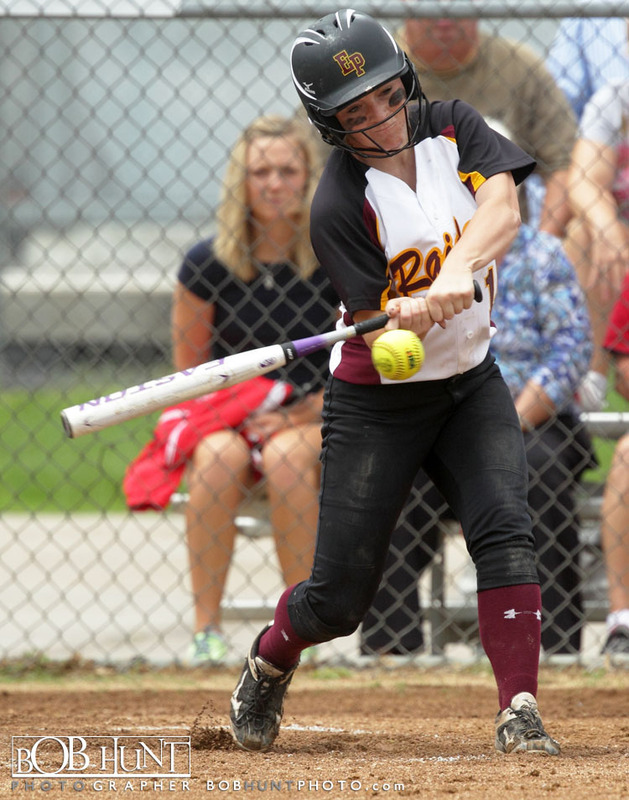 East Peoria plays Metamora (24-11) at 4:30 p.m. Wednesday in the Limestone Sectional semifinal. 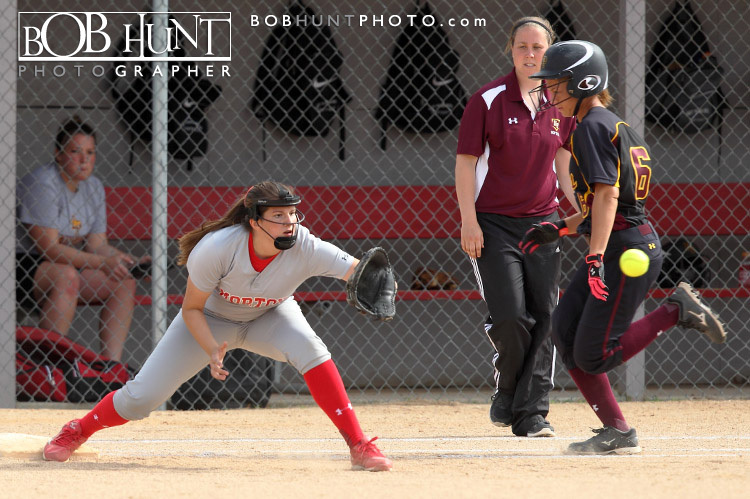 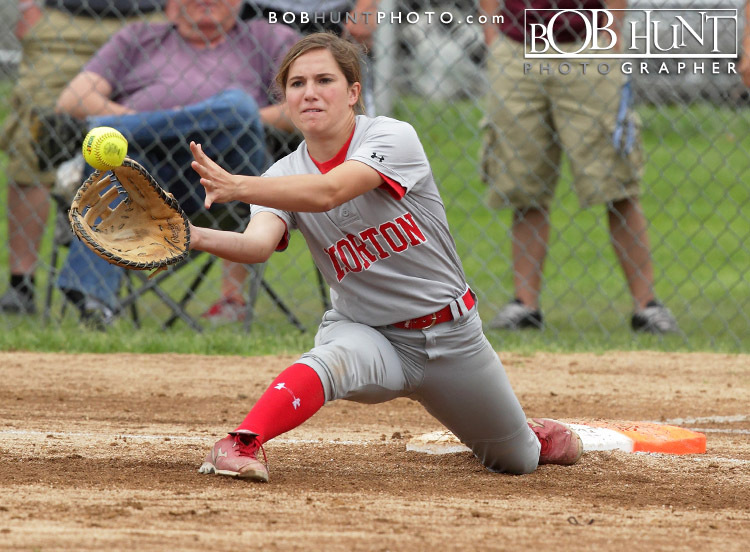 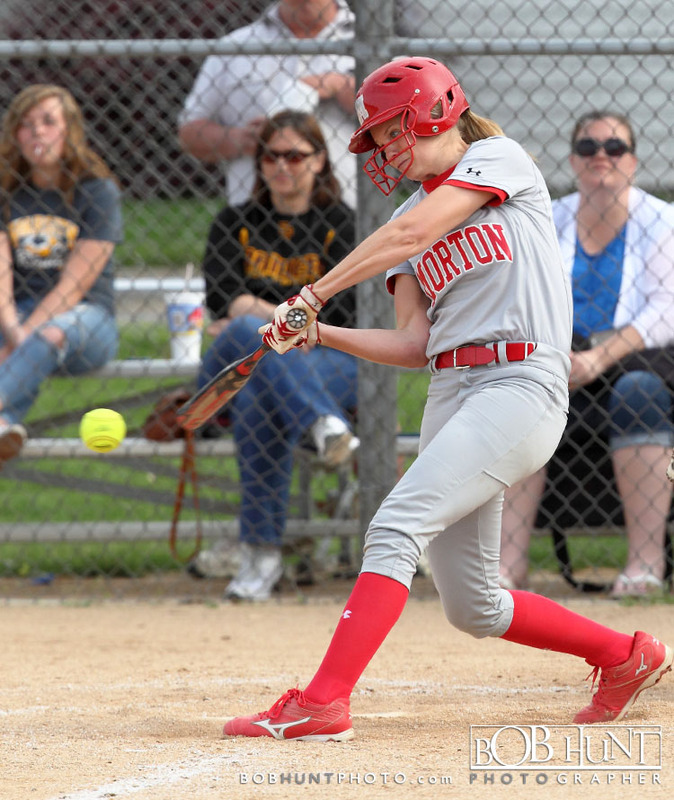 The Morton Lady Potters lead East Peoria, 2-0 in the top of the fourth inning. 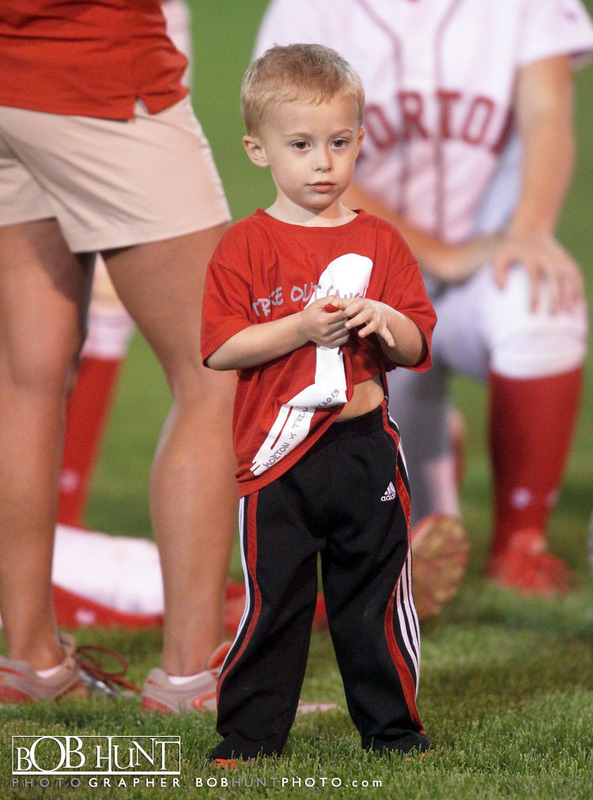 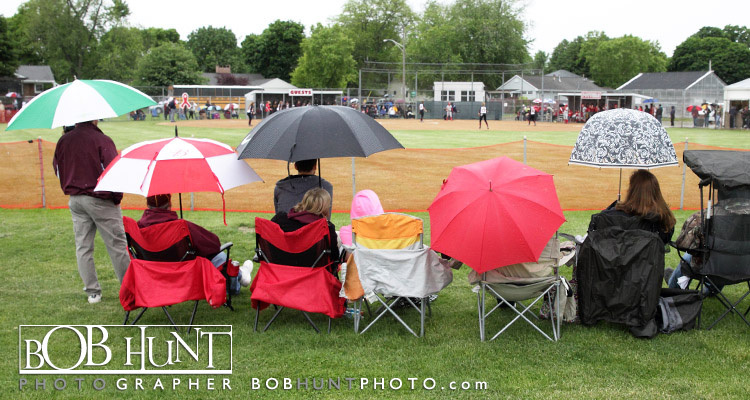 Play was suspended with lightning and heavy rains making the field unplayable. 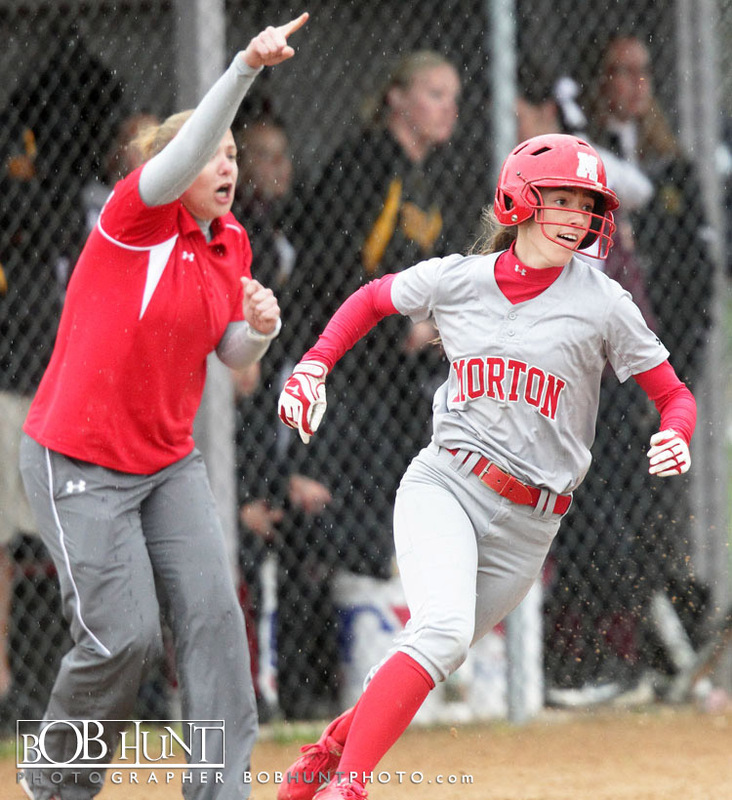 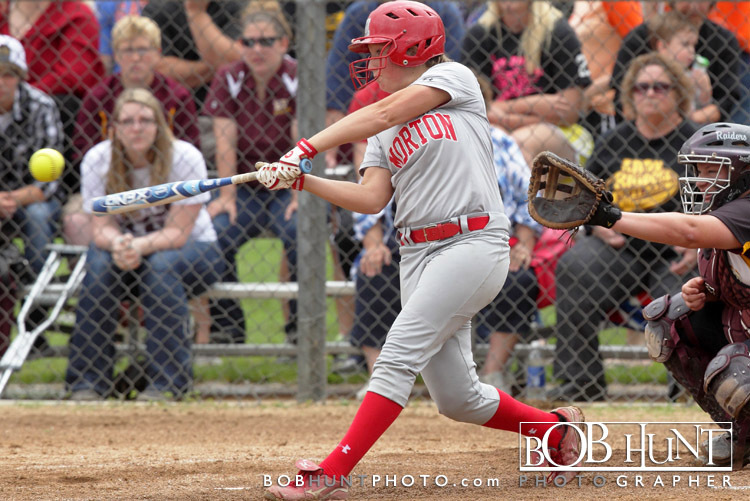 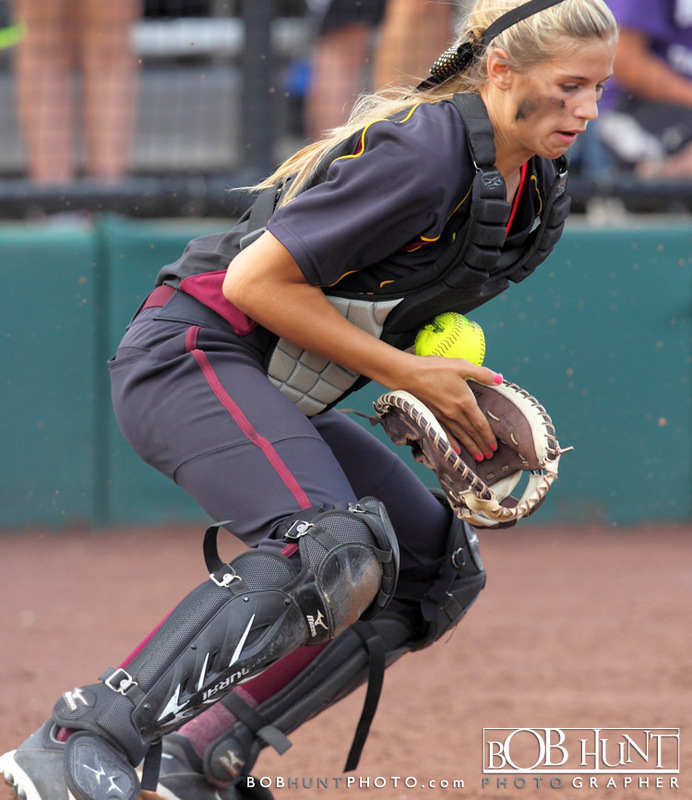 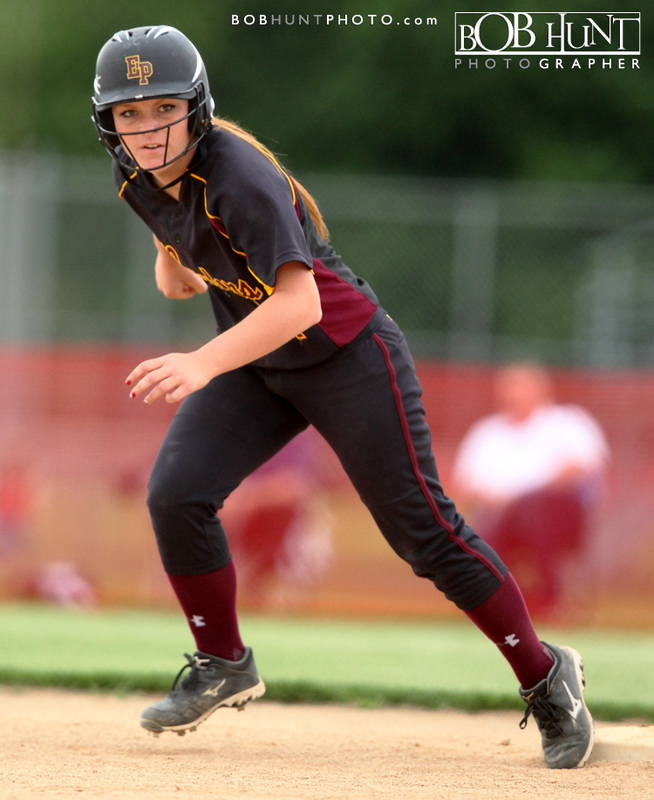 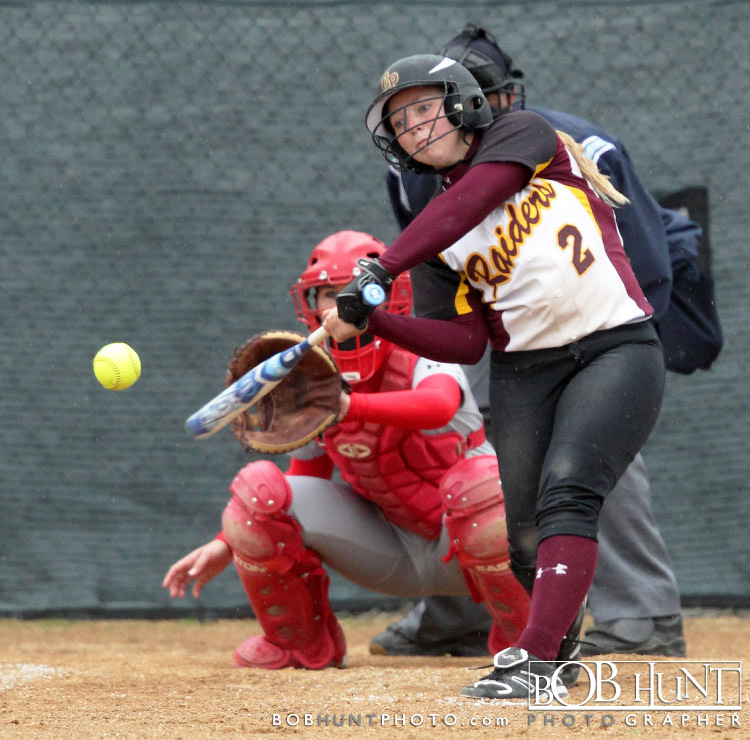 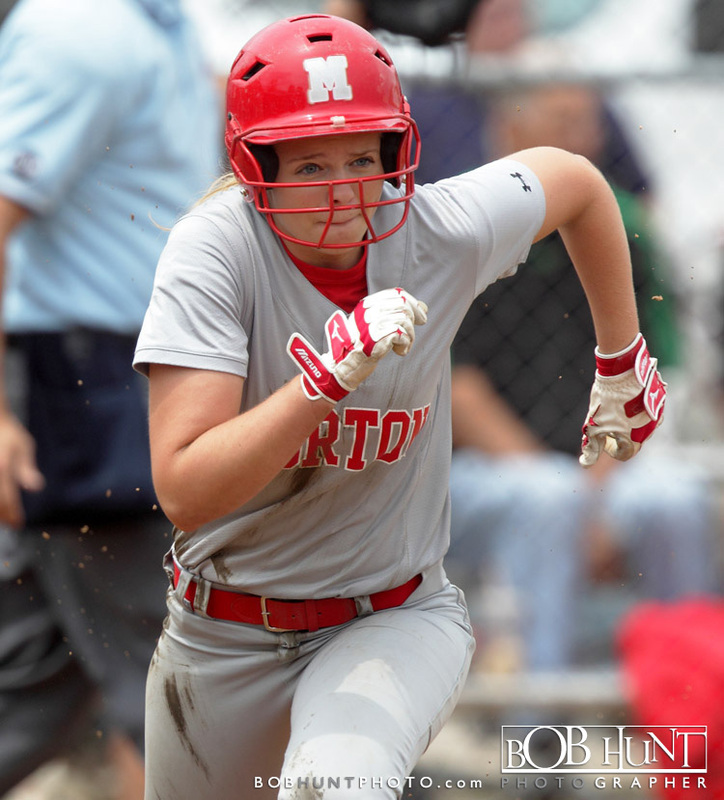 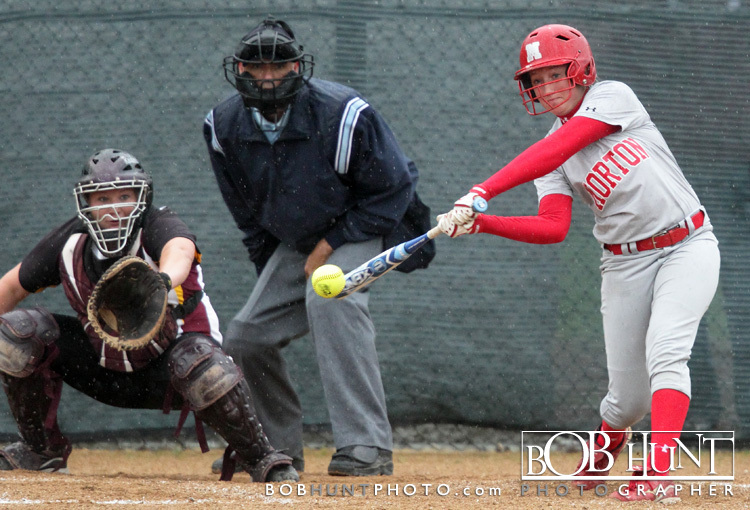 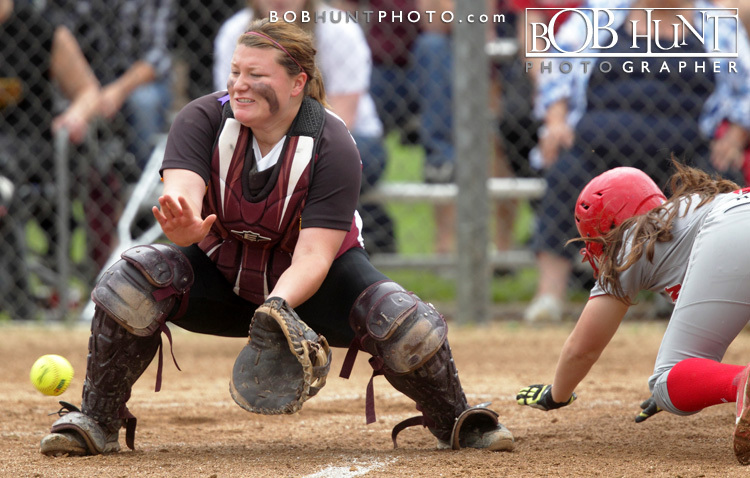 Morton struck in the top of the first inning on a two-run RBI single by Casey Brunton off junior Sarah Finck. 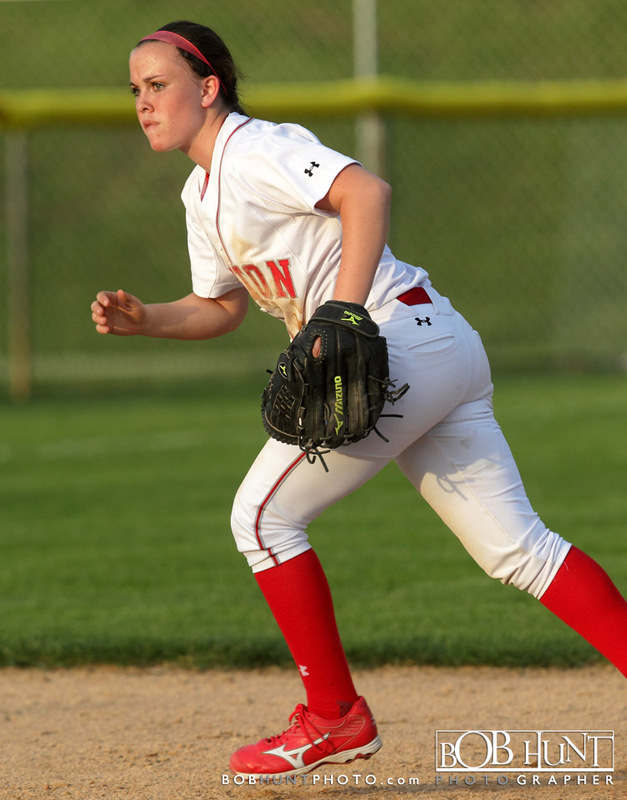 Senior Nicole Koch has shut down the Red Raiders. 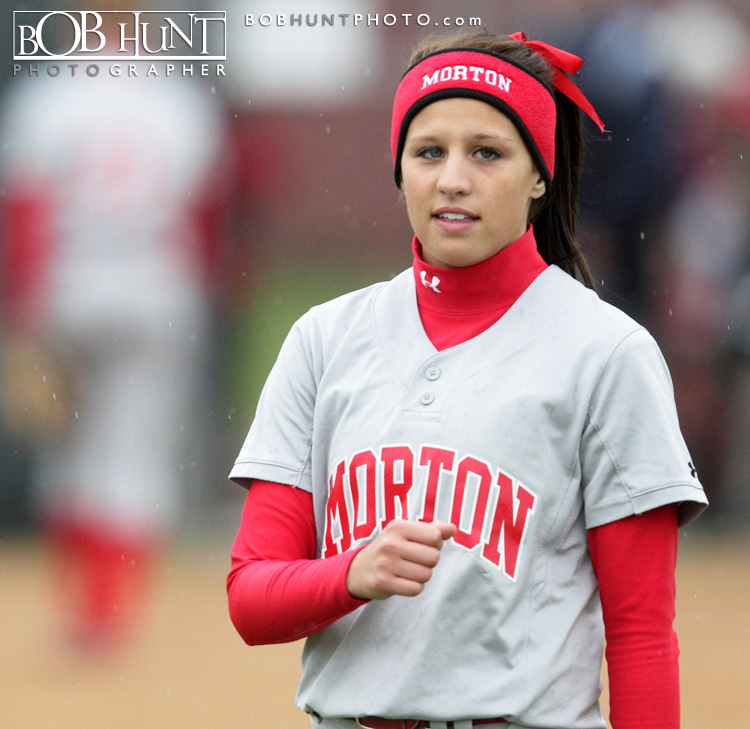 They will resume the game at 11 a.m. Monday in Morton. 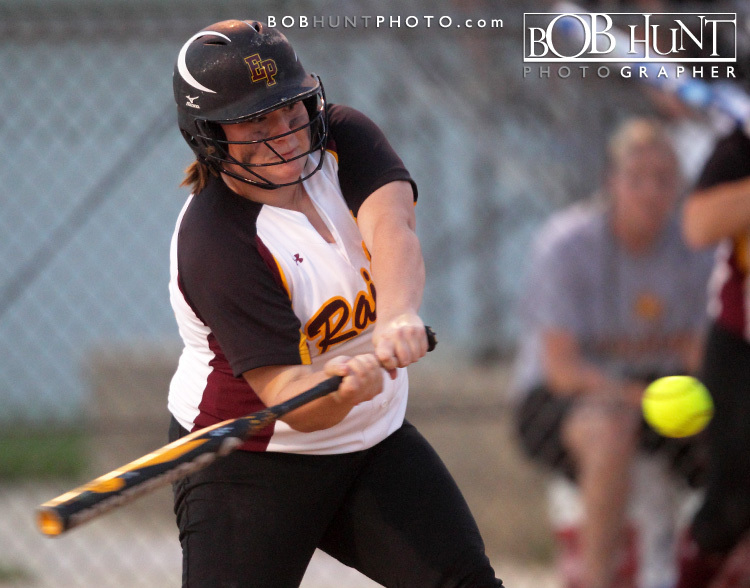 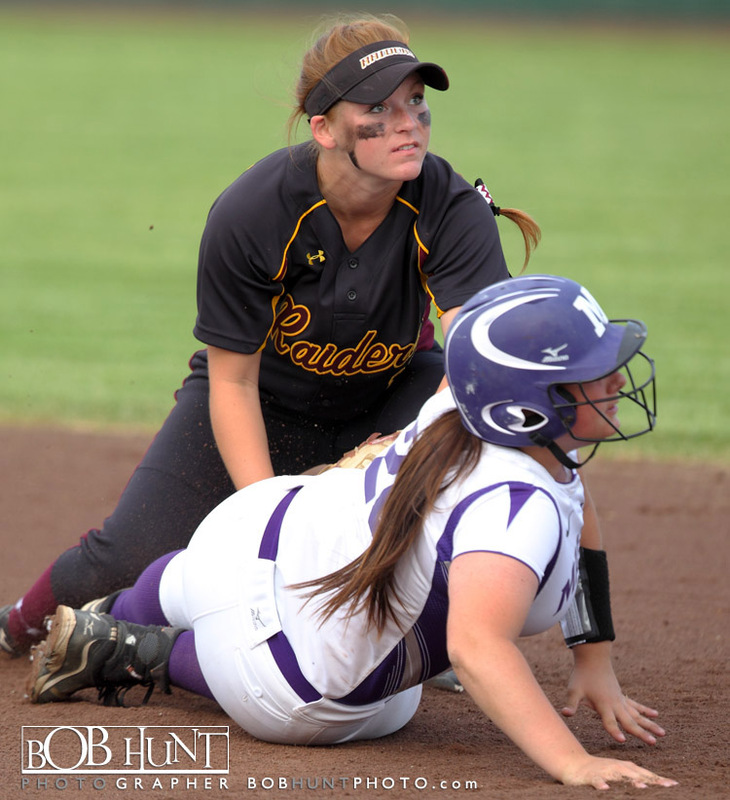 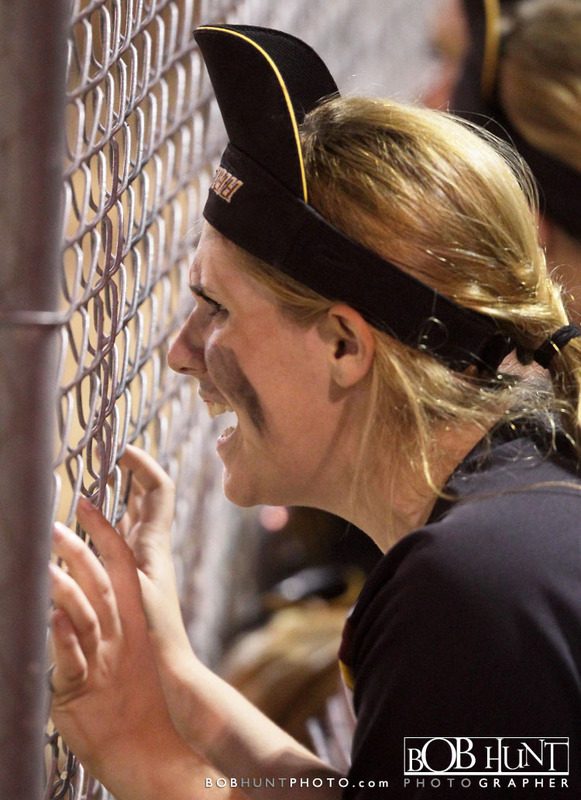 East Peoria (21-3, 14-0) scored two runs in the bottom of the seventh inning to beat the Morton Potters 3-2 Thursday evening at Eastside Centre. 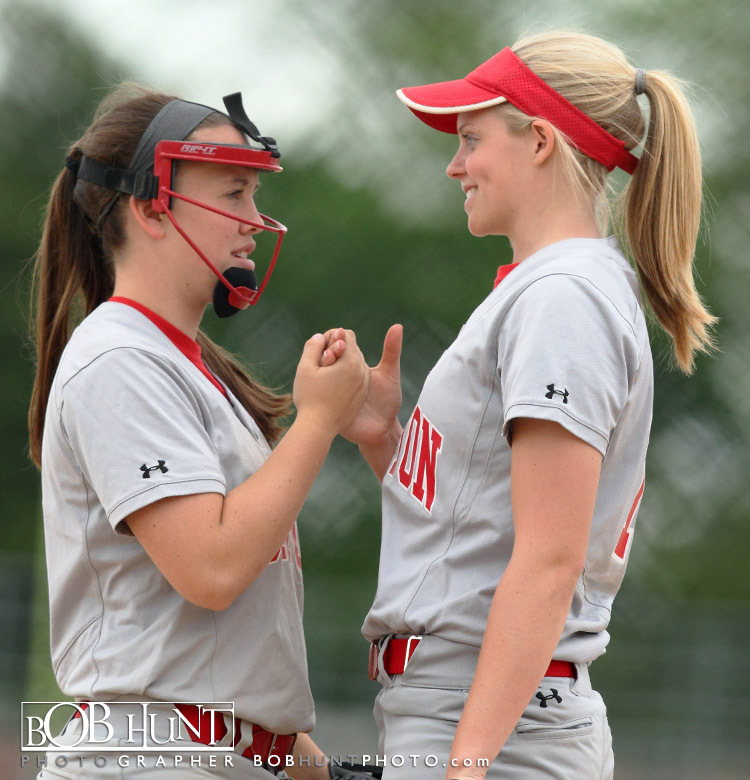 Bridget Bankes knocked in Sarah Finck and Taylor Kellum for the walk off victory on senior night for the lady Red Raiders. 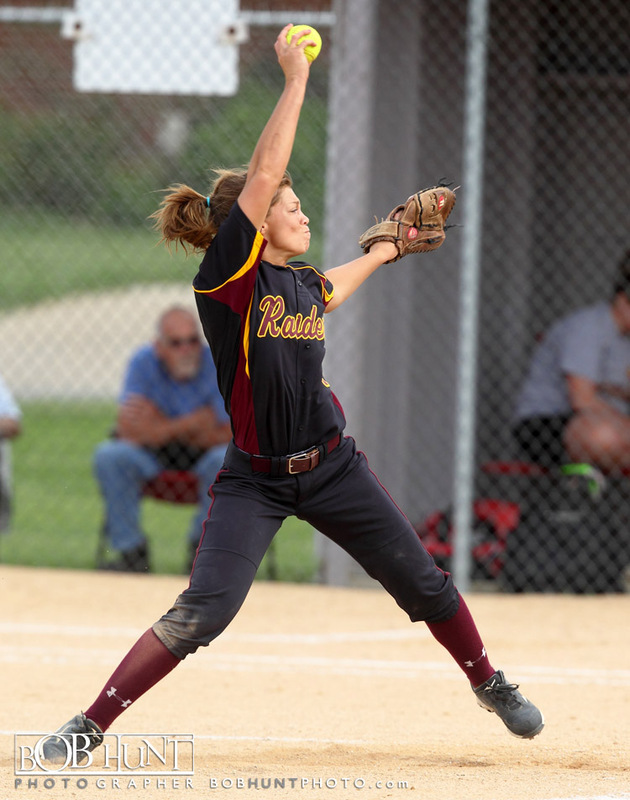 Finck the junior pitcher for East Peoria tossed a two-hitter and struck out 15 to finish the Mid-Illini Conference unbeaten.